Hand-selected by the Insomniac team, Discovery Project competition winners are given an opportunity to showcase their talent onstage at multiple Insomniac festivals across the country. 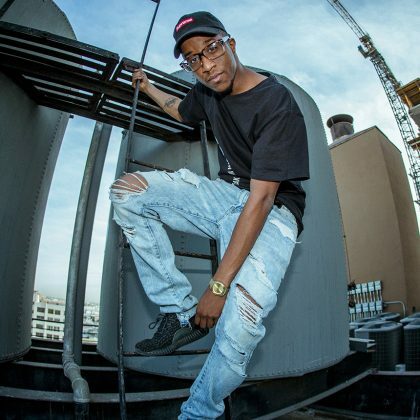 Online, our content portal provides valuable news and opinions geared to creators of all calibers, while the artist collective highlights the work and achievements of past and present Discovery artists. Enter now below for your chance to play this year at EDC Las Vegas! Perform at EDC Las Vegas. This promotion is in no way sponsored, endorsed or administered by, or associated with, Facebook, Soundcloud or Mixcloud. Eligibility: The Discovery Project: EDC Las Vegas Parliament Art Car 2018 (“Promotion”) is open to legal residents of the United States of America who have a valid social security or tax ID number, who are at least eighteen (18) years of age, and who have a valid Soundcloud account and/or a valid Mixcloud account at the time of entry. Promotion may only be entered from and in eligible jurisdictions. Promotion Entities, prize providers, and their parent, subsidiary and affiliate companies, employees, agents and suppliers, as well as the immediate family (spouse, parents, siblings and children) and household members of each such employee are not eligible to participate. In the event of a dispute as to the identity of an entrant, the authorized account holder of the account will be deemed to be the entrant. Administrator may request any potential winner to provide proof that such person is the winner. All potential winners are subject to verification before any prize will be awarded. Subject to all applicable federal, state, and local laws and regulations. Void where prohibited. Participation constitutes your full and unconditional agreement to these Official Rules and Administrator’s decisions, which are final and binding in all matters related to the Promotion. Winning a prize is contingent upon fulfilling all requirements set forth herein. Sponsor: The Sponsor of the Promotion is Insomniac Holdings, LLC. Administrator: The Administrator of the Promotion is Insomniac Holdings, LLC. Timing: Administrator's clock is the official time keeping device of the Promotion. The Submission Period begins at 12:00 PM Pacific Time ("PT") on April 5, 2018 and ends at 11:59 PM PT on April 15, 2018. The Round One Original Track Judging Period begins at 12:00 AM PT on April 16, 2018 and ends at 5:00 PM PT on April 29, 2018. The Round Two DJ Mix Judging Period begins at 9:00 AM PT on April 30, 2018 and ends at 11:59 PM PT on May 6, 2018. Submission Period and Judging Periods are collectively referred to herein as “Promotion Period”. 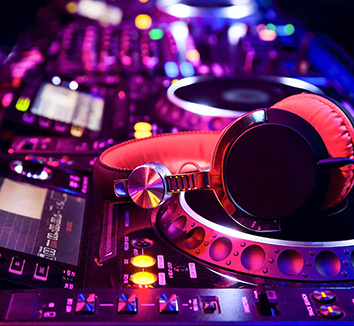 Entrant must create one (1) original track ("Track") that captures or demonstrates optimal combination of originality and professionalism, and one (1) DJ Mix ("Mix") that demonstrates boldness and precision. Track must not be subject to any label or publishing contract and must not include any copyright material. Track should be a minimum of 3 minutes and maximum of 8 minutes in length, and must be submitted as an MP3 file with a minimum bitrate of 320 kbps. Mix must be a minimum of twenty-five (25) minutes and a maximum of thirty (35) minutes in length. 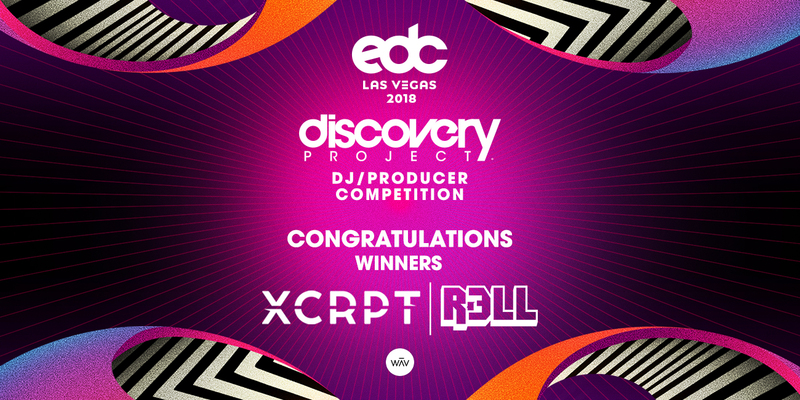 You must title and tag the Mix to include your Artist name and promotion name as follows: "[Artist Name] - Discovery Project: EDC Las Vegas 2018" and create an accurate set list ("List") to accompany the DJ Mix upload. Entrant should then go to www.soundcloud.com, log into entrant's account and follow instructions to upload their original track to Soundcloud, and obtain the direct link to the track on Soundcloud.com. Entrant should then go to either www.soundcloud.com or www.mixcloud.com, log into entrant's account and follow instructions to upload Mix and List, and obtain the direct link to Mix on either Soundcloud.com or Mixcloud.com. Next, entrant must go toto complete the Promotion registration form to include following the instructions to upload the Soundcloud Track link and the Soundcloud or Mixcloud Mix link(“Submission”). Entrant will be asked to upload a cover art image for the Submission. Entrant should use the cover art image that is provided here. Entrant may not use any third party intellectual property in the creation of the Track or Mix. Track must be formatted to Soundcloud site requirements. Mix must be formatted to Soundcloud or Mixcloud site requirements (as applicable). Entry must be submitted by the creator. Entrant bears all responsibility for use of any “uncleared” samples. The definition of an uncleared sample is a loop, sample or other musical work for which you do not own the copyright (i.e. : you didn’t create it). To enter, entrant must be a registered user of Soundcloud and/or Mixcloud ("Platforms"). If entrant is not a registered user of these sites, entrant must visit www.soundcloud.com and www.mixcloud.com, as applicable, to register for free. Registration for and use of the Platforms is subject to their terms and conditions, and Promotion Entities have no responsibility with respect to such registration or use. Promotion Entities are not responsible for the functionality of the Platforms, including changes that may interfere with the Promotion or the ability of a potential entrant to participate in the Promotion. For all entries: Entrant is eligible to submit up to one (1) Promotion entry during the Submission Period, regardless of method or combination of methods of entry or number of entries submitted. Multiple entrants are not permitted to share the same email address or other relevant account. Any attempt by any entrant to obtain more than the stated number of plays/entries by using multiple/different email addresses, identities, registrations and logins, or any other methods will void that entrant's plays/entries and that entrant may be disqualified. Use of any automated technology or system to participate is prohibited and will result in disqualification. Any automated receipt (such as one confirming delivery of text message or e-mail) does not constitute proof of actual receipt by Administrator of an entry. Promotion Entities are not responsible for lost, late, incomplete, invalid, unintelligible or misdirected registrations, which will be disqualified. All entries become the property of Administrator and none will be acknowledged or returned. In the event you cannot provide all required releases, Promotion Entities reserve the right, in their sole discretion, to disqualify the applicable Submission, or seek to secure the releases and clearances for Promotion Entities’ benefit, or allow the applicable Submission to remain. Administrator is not obligated to use, publish, display or broadcast any Submission materials submitted with an entry; provided however that you acknowledge that Administrator will rely on your agreement and compliance with these Official Rules when you submit or attempt to submit the entry. 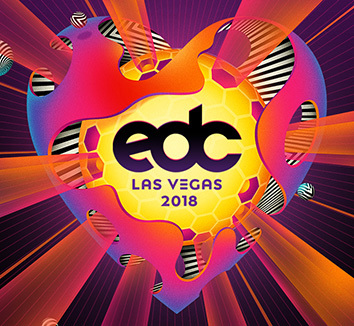 Prize: Two (2) Grand Prizes each consisting of one (1) artist pass and one (1) guest pass to EDC Las Vegas 2018 at Las Vegas Motor Speedway in Las Vegas, NV scheduled to take place May 18, 2018 through May 20, 2018; a DJ performance slot at EDC Las Vegas 2018 (“Performance”); one (1) double occupancy standard hotel room for one (1) night with check-in on May 18, 2018 or May 19, 2018 and check-out the following morning; and $500 stipend to use toward transportation and incidentals. Performance slot time to be determined and scheduled at Promotion Entities' sole discretion. 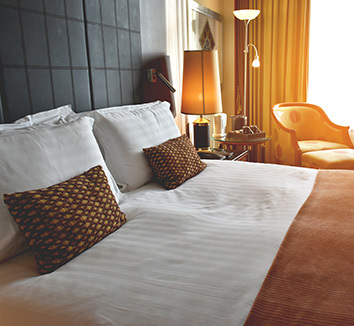 Hotel check-in date, selection of hotel, and room location is solely within Promotion Entities' discretion. Hotel room is for one night only. All other expenses not specifically mentioned herein, including transportation and meals, are not included, are solely the winner’s responsibility. In the event that a winning submission is entered by a group or multiple individuals, only one (1) double occupancy room will be provided; and one artist pass per member, not to exceed a total of two (2) artist passes and one (1) guest pass, will be provided. Winner and guest must abide by all hotel, venue and festival policies. Promotion Entities reserve the right to revoke full or partial prize from any winner or winner’s guest who it or venue personnel deem may, in its sole discretion, be intoxicated, be a safety risk, have violated any venue policy or law, or may bring Promotion Entities into disrepute. Winner will be required to provide a credit card to hotel to cover incidentals, which are not included in prize package. If winner is a minor in his/her state of residence, the travel guest must be winner’s parent or legal guardian. Winner and guest must be at least 18 years of age or older to attend the event. Winner and guest must have all necessary identification (e.g., a valid U.S. government issued photo ID or passport, or valid state issued driver’s license) required for hotel check-in and to attend the event. 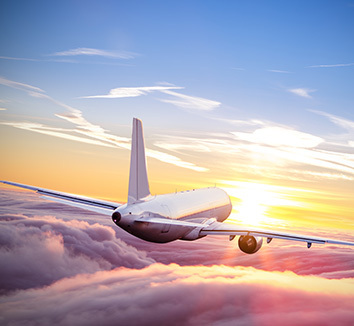 Promotion Entities are not responsible for changes in schedule of any element of the prize or for any expenses incurred as a consequence of transportation issues, cancellations or delays. Promotion Entities are not responsible and will have no liability if the winner and/or his/her guest is for any reason not permitted to travel by any applicable transportation authority or misses any travel element. An unclaimed and/or unused prize element will remain the property of Promotion Entities. Resale of tickets is prohibited. Approximate Retail Value of each grand prize is: One Thousand One Hundred Five Dollars and No Cents to One Thousand Eight Hundred Fifteen Dollars and No Cents ($1,105.00 to $1,815.00), depending on number of individuals in winning submission and hotel cost at time of booking. Any difference between stated approximate retail value and actual value of prize will not be awarded. For all prizes: Odds of winning a prize depend on the number of eligible entries received. There will be only one prize per winner. Lost or stolen prizes will not be replaced. Prize does not include any other item or expense not specifically described in these Official Rules, and any such additional expenses are the sole responsibility of winner. Prizes may not be transferred or assigned. Only listed prizes will be awarded and no substitutions or cash equivalents or redemption will be made, except that Administrator reserves the right to award a prize of equal or greater financial value if any advertised prize (or any component thereof) becomes unavailable. Winners agree to accept the prize “as is”, and you hereby acknowledge that Promotion Entities have neither made nor are in any manner responsible or liable for any warranty, representation, or guarantee, express or implied, in fact or in law, relative to the prize, including express warranties (if any) provided exclusively by a prize supplier that are sent along with the prize. Any valuation of the prizes stated above is based on available information provided to Administrator and the value of any prize awarded to a winner may be reported for tax purposes as required by law. Each winner is solely responsible for reporting and paying any and all applicable taxes. Each winner must provide Administrator with a valid taxpayer identification number or social security number before any prize will be awarded. A Form 1099 will be issued to the winner for value of prize $600 or more. During round one, each eligible Track will be judged based on optimal combination of originality and professionalism, using a ten point scale, with ten being the highest score possible. All entries receiving nine or ten points will advance to round two ("Finalists"). During round two, each Finalist Mix will be judged based on demonstration of boldness and precision, using a ten point scale, with ten being the highest score possible. The potential winners shall be the two (2) entries that receive the two (2) highest overall combined Track and Mix scores ("Score"), as determined by the panel of Discovery Project Judges. In the event of a tie, there will be one (1) additional 24-hour Judging period during which Administrator representatives will vote to select the potential winner. Administrator’s decisions as to the administration and operation of the Promotion and the selection of potential winners are final and binding in all matters related to the Promotion. Administrator reserves the right to disqualify any participant or winner and may refuse to award any prize to a person who is ineligible or has violated any rule, gained unfair advantage in participating in the Promotion, or obtained winner status using fraudulent means. Potential winners are restricted from any communication (announcing, telling any other person, posting online via website, blog or any social media profiles, pages or accounts) stating that they have been contacted or are a potential winner or winner until Administrator has fully verified eligibility and Administrator has notified potential winner that they have been approved to communicate winner status. Potential winner is subject to verification by Administrator. Administrator will not accept screen shots or other evidence of winning in lieu of its validation process. Potential winner must continue to comply with all terms and conditions of these Official Rules, and winning is contingent upon fulfilling all requirements. Potential winner will be notified by mail, email or phone. Potential prize winner may be required to sign and return an Affidavit of Eligibility, Liability and Publicity Release (“Affidavit”) (except where prohibited), which must be received by Administrator within twenty-four (24) hours of the date notice or attempted notice is sent, in order to claim a prize (if applicable). If a winner is a minor in his or her state of residence, the Affidavit must also be executed by the winner’s parents or legal guardians. If a potential winner of any prize cannot be contacted, fails to sign and return the Affidavit within the required time period (if applicable), declines the prize or prize is returned as undeliverable, such potential winner forfeits the prize. In the event that a potential winner is disqualified for any reason, Administrator will award the corresponding prize to an alternate winner who has the next highest score from among all remaining eligible entries. All alternate potential winners are subject to all requirements set forth in these Official Rules. Only three (3) alternate winners will be selected, after which the prize will remain un-awarded. Errors and Unauthorized Activity: Promotion Entities are not responsible: (1) for any incorrect or inaccurate information, whether caused by entrants, printing errors or by any of the equipment or programming associated with or utilized in the Promotion; (2) for technical and/or communications malfunctions, errors or failures of any kind; (3) for unauthorized human intervention in any part of the Promotion; (4) for technical or human error which may occur in the administration of the Promotion or the processing of entries; (5) for any injury or damage to persons or property which may be caused, directly or indirectly, in whole or in part, from your participation in the Promotion or receipt or use or misuse of any prize; or (6) if the Promotion cannot take place or if any prize cannot be awarded due to acts of war, natural disasters, weather or acts of terrorism. If for any reason an entry is confirmed to have been erroneously deleted, lost, or otherwise destroyed or corrupted, your sole remedy is another entry in the Promotion, provided that if it is not possible to award another entry due to discontinuance of the Promotion, or any part of it, for any reason, Administrator, at its discretion, may elect to hold a random drawing from among all eligible entries received up to the date of discontinuance for any or all of the prizes offered herein. No more than the stated number of prizes will be awarded. In the event that production, technical, seeding, programming or any other reasons cause more than stated number of prizes as set forth in these Official Rules to be available and/or claimed, Administrator reserves the right to award only the stated number of prizes by a random drawing among all legitimate, unawarded, eligible prize claims. Administrator reserves the right to cancel, suspend and/or modify the Promotion, or any part of it, if any fraud, technical failures or any other factor beyond Promotion Entities’ reasonable control impairs the integrity or proper functioning of the Promotion Game, as determined by Administrator in its sole discretion. In such event, Administrator reserves the right to award the prizes at random from among the eligible entries received up to the time of the impairment. Administrator reserves the right, in its sole discretion, to disqualify any individual it suspects or finds to be tampering with the entry process or the operation of the Promotion or to be acting in violation of these Official Rules or any other promotion or in an unsportsmanlike or disruptive manner. Any attempt by any person to deliberately undermine the legitimate operation of the Promotion may be a violation of criminal and civil law, and, should such an attempt be made, Promotion Entities reserve the right to seek damages from any such person to the fullest extent permitted by law. Promotion Entities’ failure to enforce any term of these Official Rules shall not constitute a waiver of that provision. Release: By participating in the Promotion, you (a) release Promotion Entities, prize providers, promotional agencies, franchisees, and each of their respective parent companies, affiliates, subsidiaries, successors, assigns, agents, representatives, officers, directors, shareholders, and employees, from any and all liability for any claims, costs, injuries, losses or damages of any kind arising in connection with the Promotion, including the unauthorized or illegal access to personally identifiable or sensitive information or acceptance, possession, use, misuse, or nonuse of the prize that may be awarded; and (b) acknowledge that the foregoing parties have neither made nor are in any manner responsible or liable for any warranty, representation or guarantee, expressed or implied, in fact or in law, relative to a prize including, without limitation, the prize quality or availability. Disputes: As a condition of participating in the Promotion, you agrees that: a) under no circumstances will you be permitted to obtain awards for, and you hereby waive all rights to claim, punitive, incidental, consequential, or any other damages, other than for actual out-of-pocket expenses; b) all causes of action arising out of or connected with this Promotion or the prizes awarded, shall be resolved individually, without resort to any form of class action, exclusively by arbitration pursuant to the Rules of the American Arbitration Association, then effective; and c) any and all claims, judgments, and awards shall be limited to actual out-of-pocket costs incurred and in no event shall you be entitled to receive attorneys’ fees or other legal costs. Promotion Entities reserve the right to modify prize award procedures. The Promotion and these Official Rules, and the validity, construction, performance, and enforcement thereof, shall be governed by and construed in accordance with the laws of State of California, without giving effect to any choice of law or conflict of law rules (whether of the State of California or any other jurisdiction), which would cause the application of the laws of any jurisdiction other than the State of California. Winner’s List: To obtain a list of the names of winners of prizes, mail your request and a self-addressed, stamped envelope, up to sixty (60) days after the close of the Promotion, to Discovery Project: EDC Las Vegas Parliament Art Car 2018 WINNERS LIST, C/O Insomniac, Inc., 9441 W Olympic Blvd, Beverly Hills, California 90212.